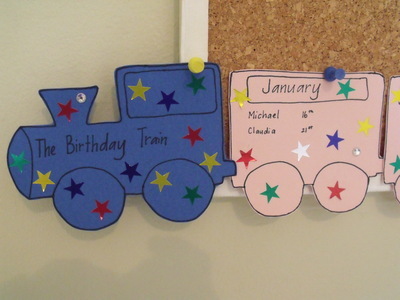 If you have trouble remembering birthdays, then you are going to love this Birthday Train. The train can be left plain or decorated. 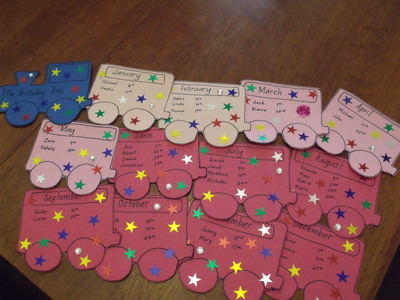 We have used stars, however you might like glitter, crepe paper, paint or stickers. 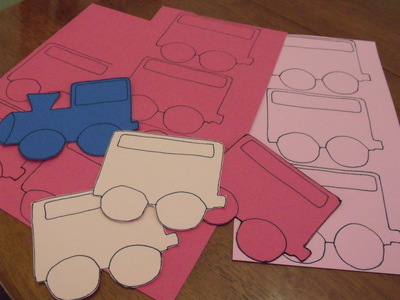 Draw and cut out 1 train and 12 carriage templates. 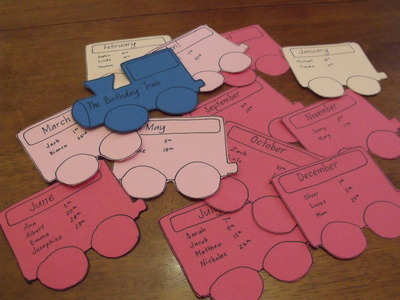 Once you have chosen the colour order, write the names of the months and birth dates in each carriage. 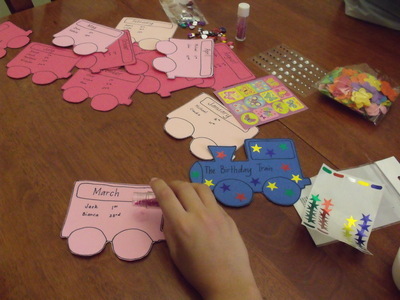 This is a great opportunity for the kids to practice writing their names as well as their family and friends names. 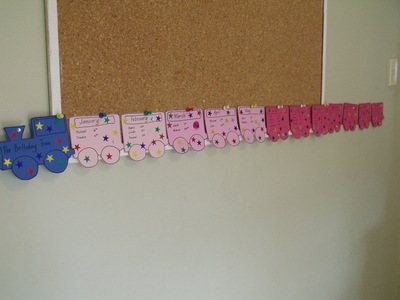 At this point you can leave it as it is and place them on a cork board or wall. 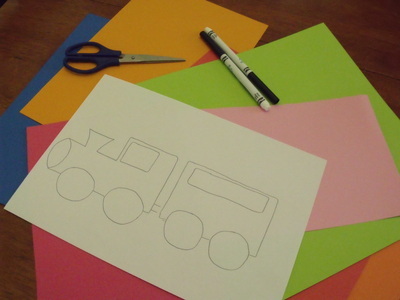 Your child might like to draw or decorate the train and carriages with bright colours and stickers. Once complete place the train and carriages on a wall for everyone to see.